With our creative and tech savvy professionals having in depth expertise in latest social media trends, We can develop and deliver any kind of Facebook based Applications. Facebook Apps can help you increase your web traffic and hence your sales. There are wide varieties of facebook apps that are most common and useful. Facebook is one of the big platform for online apps and gaming industry. 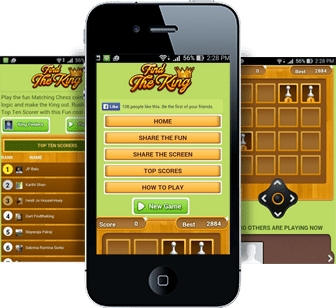 With its rich experience in all the Facebook SDKs and APIs, DART has developed numerous Facebook games. Click here to view Facebook games developed by us. For any of your Facebook requirements, Contact Us and we will make sure your job gets done with satisfaction.